If you have children, especially young ones, you absolutely should create an estate plan to address their security in the event that you pass away. This is your opportunity to decide who will care for your minor children, how your assets will be distributed, and who will make decisions on your behalf. As you think about the distribution provisions of your assets or the key players to name to fill roles in your estate plan, here are some things to consider. a legal guardian, who would become your child’s primary caretaker if you die or become incapacitated. It’s typically recommended that you nominate a primary choice as well as successors in case the first choice is unable to serve. A guardian takes physical custody of a child, is responsible for their health and safety, and makes legal decisions on their behalf, including where they live and go to school. Consider choosing someone with similar values to yours. Consider their geographic location, their age and stability. If you choose a married couple to serve as guardians, include instructions in case they divorce. The best method for transferring assets to your heirs will depend on the size of the inheritance, the age and maturity level of your children, their personal circumstances and their physical capabilities. Is a 19-year-old ready to inherit a large amount of money? Do your adult children have special needs or an unstable marriage or lifestyle? Have they demonstrated maturity or financial savvy? The simplest choice is an outright distribution. 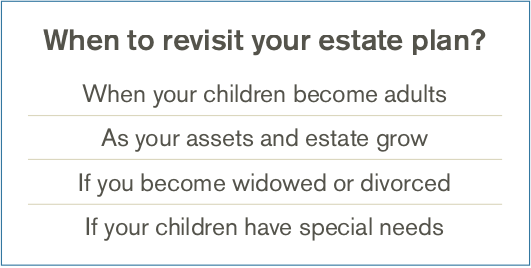 After your estate settles, your children will receive their full share. For smaller estates, it may be fine to put the money in the beneficiary’s pocket immediately. Keep in mind that this money may not be protected from third party claims, including divorce proceedings and creditors. Younger, less mature heirs may also spend the money unwisely. The Uniform Transfers to Minors Act (UTMA) allows a minor to receive money and other assets without a guardian or trustee. The gift giver or a custodian manages the account until the beneficiary reaches legal age (at most age 25), at which time the remaining assets transfer outright. Many wills include an UTMA provision as a backstop for bequests that might otherwise go outright to a minor child. For larger estates, or situations where a beneficiary should not have access to the funds directly, a trust is often the best choice. This option keeps minors or young adults from controlling too much money too early and protects estate assets from a beneficiary’s creditors. If the recipient has a car accident, business failure, bankruptcy, or divorce, the trust assets can’t be claimed. In order to involve more family or friends in your child’s upbringing, you may choose to name different people to serve as trustee of your child’s trust than those you named to serve as guardian. Consider recommending three candidates for trustee (one primary and two successors) in your will. A good choice is a trustworthy person with some financial knowledge, though deep expertise isn’t necessary as they will be able to rely on the advice of financial advisors and attorneys in managing the trust. You may choose to name the child/beneficiary as co-trustee or even full trustee, once they reach a specific age. For larger, more complex estates, a professional trustee may be a better option. With regard to distributions, the trust language will typically allow the trustee to make distributions to provide for the maintenance, education, support and health (MESH) of your child. You can include additional provisions for distributions to a “responsible beneficiary” to start a business, purchase a home, or encourage travel. These provisions can be binding or optional. Trusts can be especially useful for estate tax planning and they are a good choice to provide for special needs children without reducing their government benefits. A pot trust provides funds for all of your children until the youngest child reaches an age at which you might have stopped supporting them, at which point the remaining assets are split between the beneficiaries. Many estates allow for bulk distributions from trusts as heirs reach certain ages, for example: 35, 40, and 45.
to support beneficiaries for as long as they live. At the beneficiary’s death, remaining assets can transfer to the beneficiary’s estate or you may specify who is to receive the funds after the beneficiary dies. and contingent beneficiaries listed on these accounts are aligned with your estate plan goals. Are your children or spouse named outright? Should there be language to direct assets to a children’s trust? Your estate planning attorney should provide specific instructions for how to name your beneficiaries to address these concerns. Protecting and providing for your family after your death is perhaps the most important component of your financial plan. If you haven’t yet created an estate plan, or if you’d like to review your existing plan, your Paracle advisor can help you explore your options and connect you with an estate planning expert. Paracle Advisors is an investment advisor registered with the Securities and Exchange Commission. As an Advisor at Paracle, I am your primary point of contact. I am responsible for helping you to identify and achieve your goals over time. 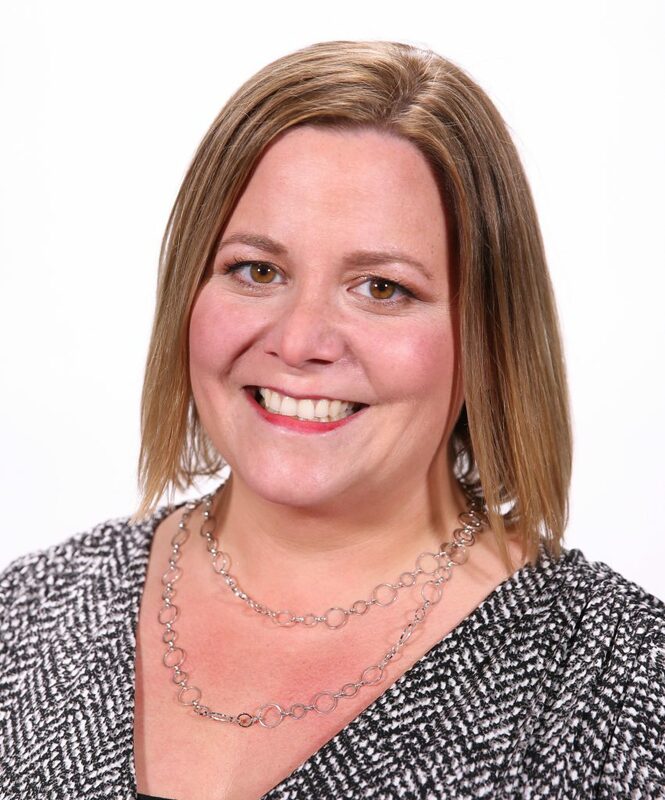 Additionally, I help coordinate with your other trusted advisors (CPA, attorney, insurance agents) to be certain all aspects of your financial life are appropriately addressed and working together. I want to ensure you have confidence in your overall financial life.